The Muslim Rights Concern, MURIC, has faulted the concerns raised by the United States, US, and Britain over the suspension of the Chief Justice of Nigeria, CJN, Walter Onnoghen. MURIC said both US and Britain should not look at the suspension in isolation but consider the gravity of the offence committed by Onnoghen. The groupâ€™s reaction was contained in a statement signed and sent to DAILY POST by its Director, Professor Ishaq Akintola, on Saturday. The statement reads: â€œWestern countries should not just jump to conclusions. They should not just make it look as if the CJN is being suspended to clear the way for some undemocratic practices. Neither the US nor Britain will allow a judge to accumulate wealth illegally because it is dangerous for the judicial system. Heavy cash lodgements in both foreign and local currencies were allegedly found in the former CJNâ€™s accounts. No responsible government will ignore that. â€œWhile we appreciate the interest of US and UK in evolving healthy democracies around the world, particularly in Nigeria, we will appreciate it more if these countries show equal concern for Nigeriaâ€™s war against corruption, particularly in the judiciary and in the repatriation of Nigeriaâ€™s looted funds in those two countries. Advanced democracies are not under any special obligation to listen only to the opposition and echo its propaganda. They also owe it a moral duty to hear the governmentâ€™s side before making policy statements. â€œTo this end, we expect that both the US and UK will equally show interest in the allegation bordering on corruption made against the former CJN as they have expressed concern over his suspension. This ought to be done against the backdrop of the reputation of Nigeria which a former British prime minister described as â€˜fantastically corruptâ€™ but which the present regime of President Muhammadu Buhari is trying hard to turn around. â€œIt is a known fact that no war against corruption can succeed if the judiciary is corrupt. It is the robust judicial system which both the US and UK enjoy today that allows a conducive atmosphere for democratic principles of rule of law, liberty and justice. â€œWe seek no less in our country, Nigeria. We find the alleged involvement of the CJN in financial misdemeanor sickening, repulsive and outrageous. A civil society group who could summon the courage demanded his sack. We no longer have any confidence in his leadership of this countryâ€™s judiciary. 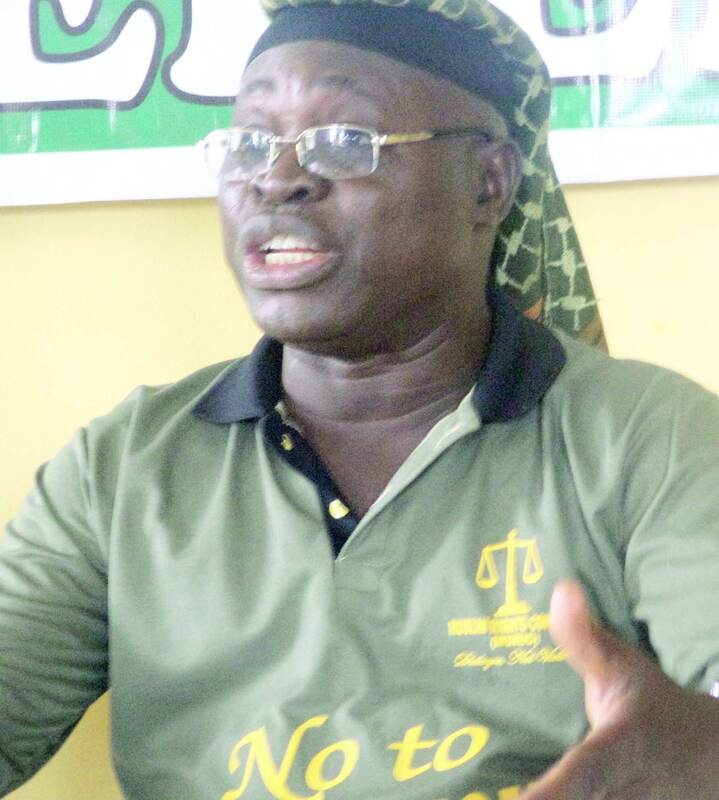 â€œMURIC appeals to Western countries to allow the Nigerian government to clean its judiciary. It is the last hope of the common man. The filth in our judiciary will be better understood when we remember how James Ononefe Ibori of Delta State mesmerized the Nigerian judiciary for years without being punished. But he was caught in Britain and sentenced to 13 years imprisonment because the British judiciary will not take rubbish. Diepreye Alamieyeseigha of Bayelsa State also ran foul of the British judiciary before he jumped bail in 2005. This is one major reason the Nigerian government must be allowed to clean its judiciary. â€œWe must ask Britain if it can tolerate what is happening in Nigeria today on her own soil. For instance, the current British Lord Chief Justice, Sir John Thomas, earns Â£240,000 per annum. Will Theresa May, the Prime Minister, keep mum if he receives a report that his Lord Chief Justice has five bank accounts with more than $500,000 in each? Can his American counterpart, the US Chief Judge, John Glover Roberts Jnr, do the same and get away with it under Donald Trumpâ€™s watch? You show concern for Onnoghenâ€™s suspension but not for the big sums of money he was practically caught with and which he admitted to. It hurts our sensibilities and you need to make amends. â€œThis is exactly what we are saying: leave our government alone if you cannot allow it to happen in your own countries. It has been happening here for long and now we have a solution to it via a democratically elected president. We have tons of confidence in Muhammadu Buhari. He sits on our treasury. He does not steal and he will not allow thieves to steal our common patrimony. We are satisfied with him as the guardian over our wealth. We do not care whether he is â€˜lifelessâ€™, â€˜weakâ€™, or â€˜incompetentâ€™. We never had it so good.